Live draft parties are a lot of fun! 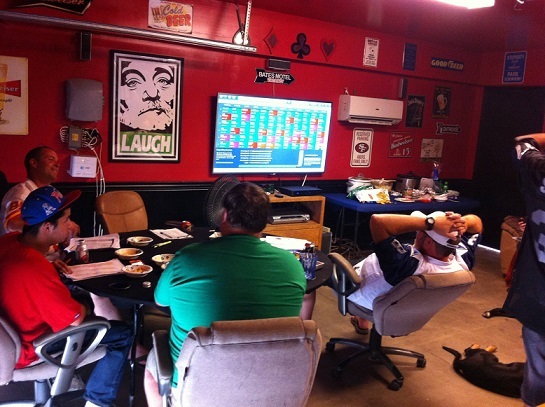 With Sleeper draftboards you can enjoy live drafts with friends by casting the draftboards directly onto a large screen TV! Never pay for a mail-delivered draftboard ever again. To get up and running, just create a draftboard on S and set up your draft settings and preferred theme (light or dark). Send the unique invite link to your friends and get them to join you during a draft time you guys all can agree on. Once everyone is in the live draft, you can cast the draftboard to a TV or external monitor using a HDMI cable, Chromecast, AppleTV, or similar mirroring device. Click "Begin Draft" in the settings, and enjoy drafts like they were meant to be! Pro Tip: If you are casting from your laptop, you can simply open up a second tab on your browser to do your picks. People are busy. Chances are, not everyone will be able to make a live draft. 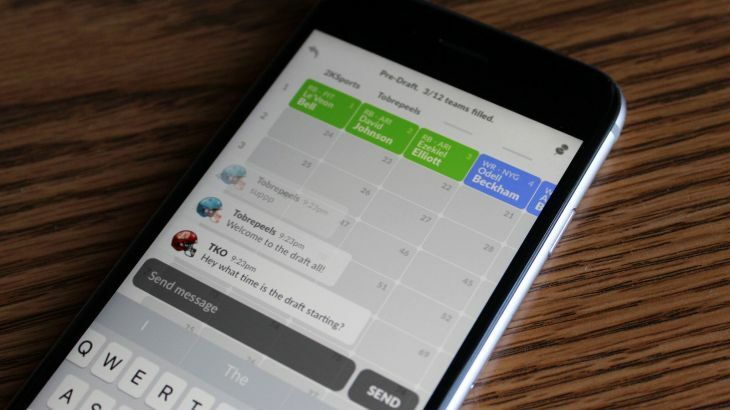 Fortunately, Sleeper draftboards are sync'd in real-time across web and mobile, meaning that your friends who can't join in person can still enjoy the real-time draft experience and participate in your live drafts. All they need is an internet connection, and we'll take care of the rest!